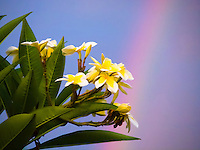 Anuenue, the Hawaiian word for rainbow is the promise of a brighter future! 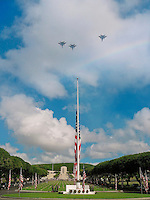 Rainbows abound in Hawaii! The aloha is expressed daily within these Anuenue! 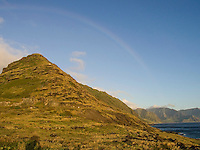 A rainbow over Kukui'ula Harbor, Kaua'i. Rainbow Falls waterfall, Hilo, Big Island. 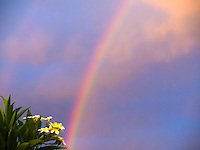 A rainbow over downtown Hilo, Hawaii. 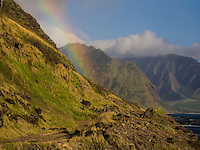 A rainbow at Olowalu, Maui. Humpback whale tail with rainbow, Maui, Hawaii. Competition pod near Molokai, Hawaii. Double rainbow at Waiehu Golf Course, Maui. Hula dancer with rainbow at Makena, Maui. Waterfall in Hana, Maui with a rainbow. 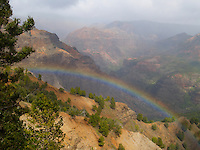 Rainbow over Princeville, Kauai north shore.